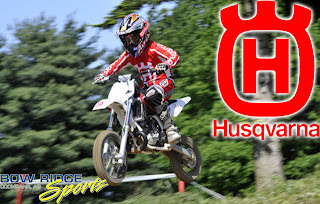 SGC News Hub - Alberta Off-Road News: Husqvarna CR AND SM 50 Coming soon! 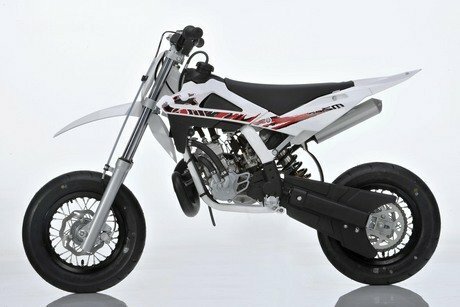 Husqvarna CR AND SM 50 Coming soon! The essence of a real dirt bike and supermotard in miniature.This is the nature of the new Husqvarna CR and SM 50, the “mini” that have everything you need to make your debut as a real rider. 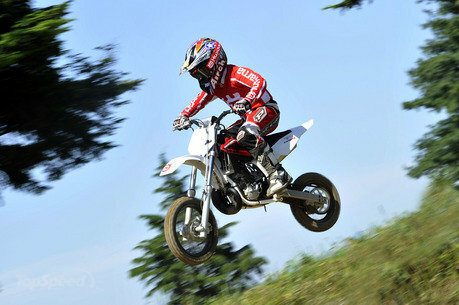 Want to look at a Husqvarna? Contact Bryan at Bowridge Sports Today! Or visit their facebook page! The framework is in CrMo steel tubes with rectangular, circular and oval section; the most visible section as it connects the upper beam to the hub.The rear frame is detachable. The fork is also in CrMo steel and supports a dual piston brake caliper in forged and anodized aluminium.The rear brake disc has a diameter of 140 mm while the front one has a diameter of 160 mm with race replica "daisy" design. 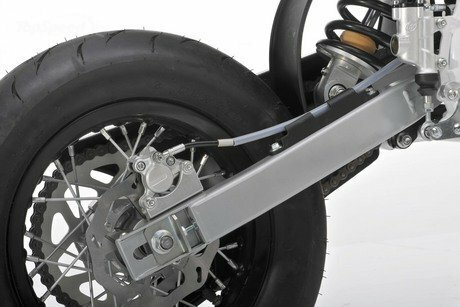 As regards suspension, the Marzocchi fork has 32 mm diameter piston rods and 185 mm stroke.The Sachs shock absorber has a wheel stroke of 200 mm , adjustable spring preload and Hydraulic rebound. The front wheel is 12” the back one is 10” with aluminium rims, while SM version has a different colour, different sized front wheel (10”) and racing slick tyres. 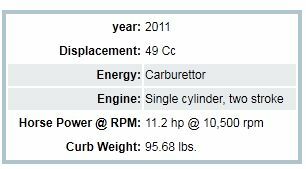 As regards the engine, both versions are fitted with a liquid cooled two stroke 50 cc engine which supplies 11.2 HP at 10,500 rpm. The speed ratio is single gear with adjustable centrifugal dual clutch transmission:one configuration for learner riders and one for experts. 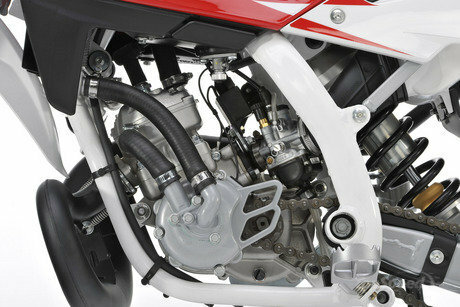 The carburettor is a 19 mm Orto PHBG.The fuel tank has a capacity of 2.7 litres. Thanks to the stability offered by the steel framework, the over-dimensioned suspensions and the disc brake system, the CR/SM 50 sets new standards in terms of safety and at the same time represents the starting point for tomorrow’s motocross , enduro and supermoto champions.